I have been keeping myself busy on the weekends attending open houses for comps in our neighborhood. Because TheMoneyPit was about to hit the market, I wanted to make sure that I knew exactly what competition we were up against. What they were selling for, what condition they were in, how they were staged etc. Well, these weekly visits have opened my eyes to the fact that people just do NOT understand proper open house etiquette. Honestly people.. you may one day own the home you are viewing for for the time being you are a GUEST in the home of the people holding the open house. SHOW SOME RESPECT. Here are my top 5 tips for people visiting an open house. Honestly, I can't believe I need to even point these out, but because I have seen these behaviors (either in real life or in shows on TV like House Hunters and Property Virgins) I guess I need to point them out. This weekend I almost fell over when a woman at an open house with me started to paw through the homeowner's underwear drawer. It was in a large armoir which clearly was not included in the sale. I was shocked. What in the world makes you think you have the right to handle someone's skivvys? What exactly are you looking for? Don't you realize that her Victoria's Secret collection is NOT included in the sale? Keep your hands off! Yes, I get it. You feel at home. You are so in love with the house you feel like you need to lay down... but don't! This isn't a hotel. This isn't a slumber party. Get out of the bed. Sure, maybe the seller has a giant collection of Virgin Mary Shot Glasses. So what? It may be an odd thing to collect but it has little to nothing to do with the sale of the house. We don't really want to listen to you extrapolate on how it must be their way of using divine intervention to battle alchohol addiction. There is no point in oohing and ahhing over the wedding pictures on the nightstand or the funky modern art over the toilet tank. The people who currently live in the house (and all their crap) are not what you are shopping for. This isn't a museum. Stop focusing on the personal effects and start looking at the house. Or else you are just annoying to the rest of us. 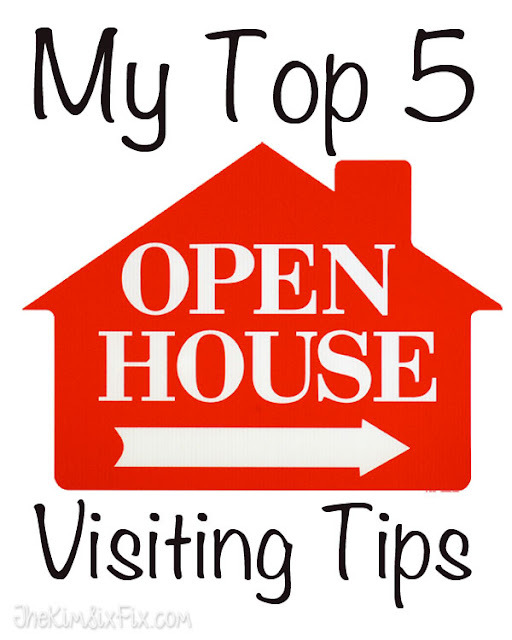 Pretty much every open house hosting agent provides a listing sheet when you enter the home. Consider it the cheat sheet with all the answers to your questions. If you want to know something about the house check there first. There is nothing more annoying than trying to tour an open house in peace and instead being forced to listen to someone play 40 questions with the broker. "What year was this built? How many bedrooms does it have? How much are they asking?.. blah blah blah"
This is a lot like rule number 2. Until you own the house, it isn't your bathtub. Don't crawl in there and make some comment about how you "could get used to this." It is a freaking bathtub. We all have seen them before, there is no reason you need to give it a dry run. Take a bath before you leave the house. So there you have it. Stating the obvious that needed to be said. You wouldn't behave like an idiot in a home you were visiting (well, at least I would hope not), so don't do it at an open house. The home sellers (and your fellow house hunters) thank you.